It can be hard to know what to blog about, especially if you write about business topics. I’ve got you covered. 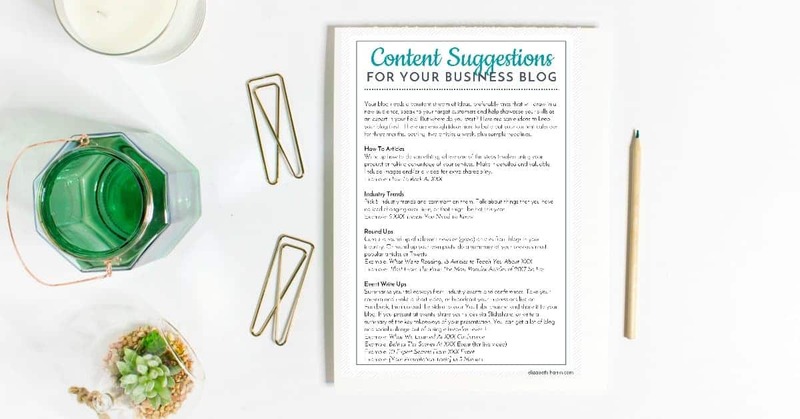 Download this cheat sheet of content ideas, complete with suggested headlines. There’s enough in here for you to fill your blog content schedule for the next three months! Simply enter your best email address below and I’ll get that over to you in a flash.